Welcoming a new baby is one of the biggest transitions a family can experience. Aside from the incoming abundance of love and the imminent lack of sleep, a new arrival can also transform the entire look of your home. This is especially obvious once your baby becomes mobile and you kick baby-proofing into high gear. Within the first year of baby bliss it isn’t uncommon to find that your plush throws have been upstaged by swaddle blankets and your pricey chaise is playing second string to a baby bouncer. Months later, when it’s time to babyproof, the focal points might become table bumpers and baby gates. While these are all essentials, they can disrupt your home’s decor and overshadow elements that once stood out. For this reason, it’s important to remember your personal style when you’re babyproofing, even in a condo. Last fall, The Star reported that in Toronto, 13% of all families with children live in condos. However,The Globe and Mail reported that for GTA condo developments in construction or preconstruction, only 41% have at least two bedrooms. So with more families opting for these small units, it appears that clashing, incohesive babyproofing styles may become a more widespread issue. But that doesn’t mean you should forgo babyproofing altogether. In many cases, babyproofing your home can be a matter of life and death. 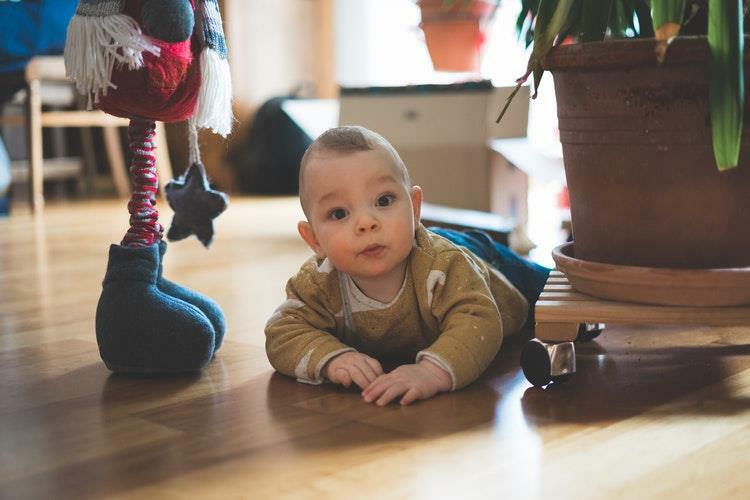 Once your baby starts crawling, you quickly notice that while they may be confident in their ability to move around your condo, they still don’t have any understanding of dangers that are present throughout your home. That’s where babyproofing comes in: bumpers, barriers, gates and covers act as safeguards so that your baby can move throughout your condo without getting into anything that will hurt them. Nothing compares to keeping a close eye on your baby but once they’re crawling and toddling, constantly running after them gets tiring, no matter how small your condo is. If you didn’t own them yourself, almost everyone has at least seen the bright, colourful foam tiles that parents often lay down to cushion their toddler’s tumbles. Though they are cute and nostalgic, they might throw off your sophisticated living room decor. Instead, try layering rugs. 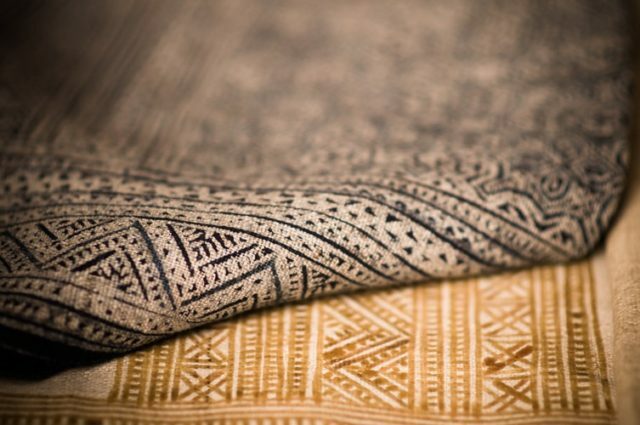 The different colours and textures of the rugs creates a whimsical, warm, bohemian atmosphere in your home and more importantly, they can serve as a soft surface for when your baby falls. The risk of your baby getting tangled in dangling cords for your blinds might lead you to believe that you have to nix them altogether. 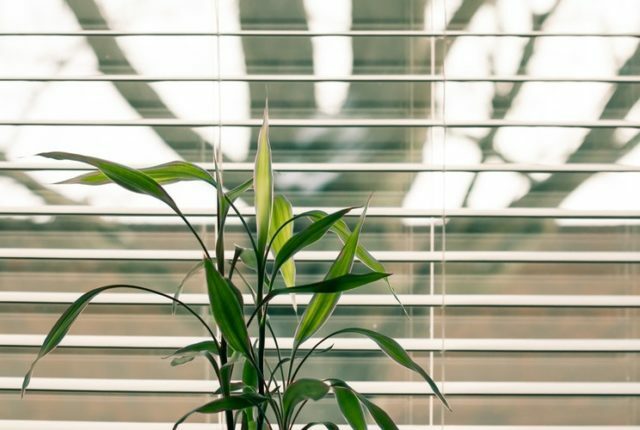 However, on a recent episode of Netflix’s Queer Eye reboot, interior designer Bobby Berk incorporated cordless blinds into a home redesign for a family with a lot of young children. In the big reveal at the end of the episode, the family was relieved to be able to enjoy the style and ease of blinds while keeping their peace of mind that their children will be safe. Instead of adding unsightly bumpers to your sleek coffee table, swap it out for a bigger pouf ottoman that can double as a table surface for magazines, remotes and other living room accessories. You can relocate your coffee table to another room or put it in storage until your baby is past the toddling stage. The soft surface adds to a cozy living space and won’t hurt if your baby bumps into it. Essentially, you just have to remember that babyproofing doesn’t have to upend your home’s aesthetic. It just requires more mindful, preemptive design. If you’re buying a new condo and planning a family, it’s never too early to start planning your babyproof interior! Function and safety should definitely be at the forefront but style doesn’t have to fall too far behind.